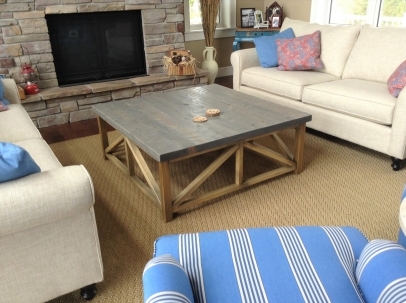 A custom "nautical" coffee table with a truss style base. 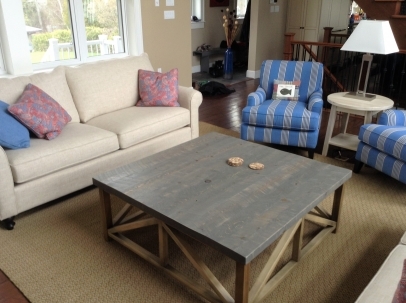 The base is made from select poplar with a custom stain, the top is made from Canadian white cedar barn board and completed with a grey-wash stain. Join our mailing list | Any Questions? Email info@pioneerhandcraft.ca | ©2019 Pioneer Handcraft Ltd.